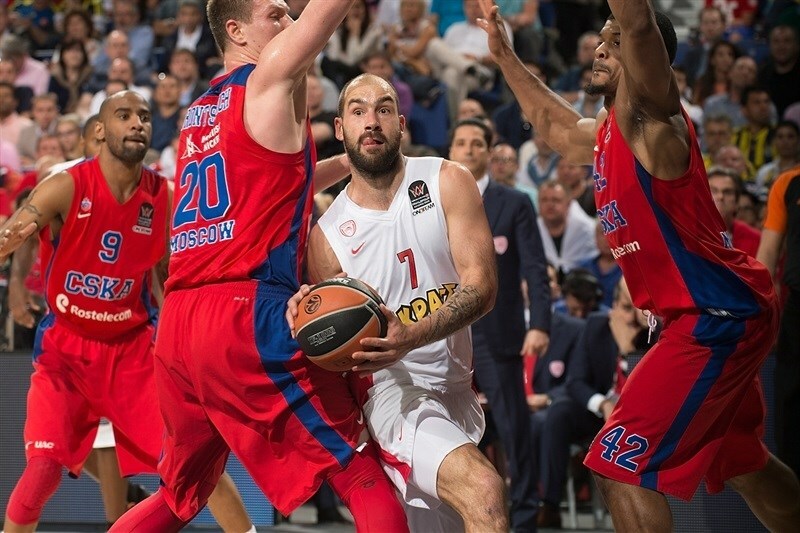 Vassilis Spanoulis continued his run of Final Four heroics by scoring 11 fourth-quarter points to lead Olympiacos Piraeus back from a 9-point deficit with four minutes remaining for a 68-70 victory over CSKA Moscow in the first semifinal at the 2015 Turkish Airlines Euroleague Final Four on Friday night at Barclaycard Center in Madrid. 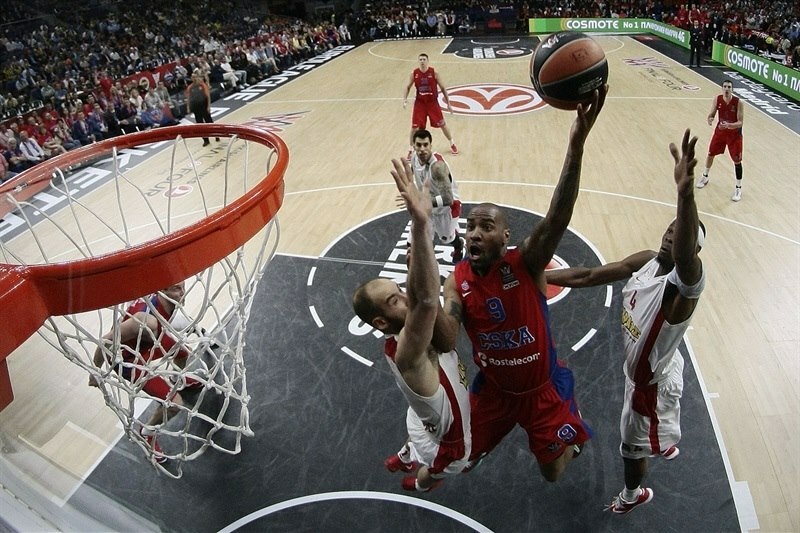 Spanoulis was the Final Four MVP in both 2012 and 2013 as he led his team to the title by beating CSKA in either the title game or the semifinal. To win their third crown in four seasons, Olympiacos will need to beat the winner of the second semifinal between Real Madrid and Fenerbahce Ulker Istanbul in Sunday’s final. Spanoulis missed his first 11 shots of the game and had a performance index rating of minus-4 entering the fourth quarter. He finished with 13 points, 3 assists and 3 steals. Georgios Printezis paced the Olympiacos attack with 14 points and 8 rebounds, Kostas Sloukas added 10 points and Ioannis Papapetrou made a biog impact with 9 points off the bench. 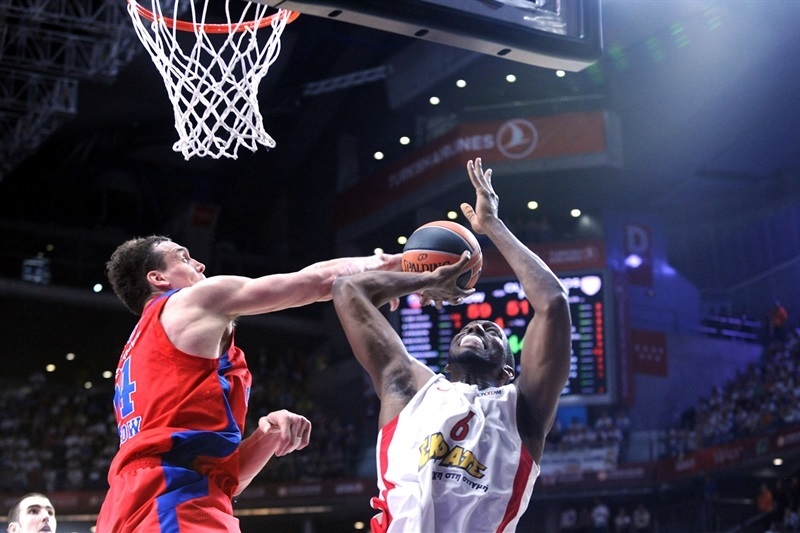 Nando De Colo paced CSKA’s attack with 18 points, while Sasha Kaun scored 11 and Aaron Jackson and Sonny Weems each scored 9. Jackson also set a Final Four record with 7 steals. The game opened with Vangelos Mantzaris and Andrey Vorontsevich each hitting threes. Mantzaris then turned provider with an assist to Printezis before Vorontsevich banked a jumper to make it 5-5. A pair of early fouls on Tremmell Darden led Olympiacos to make the first substation with Papapetrou coming in at small forward. Kaun made the free throws resulting from Darden’s second foul. 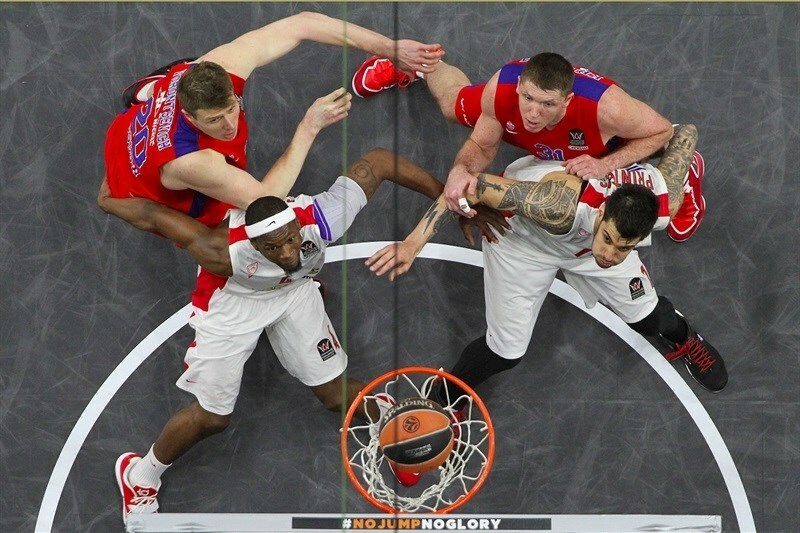 A Vorontsevich block and Kaun steal put pressure on the Reds and Andrei Kirilenko pushed CSKA ahead by 4 with more foul shots. Printezis went into the paint for a floater and Papapetrou crated a fast break with a steal and finished at the other end to tie things at 9-9 midway through the quarter. 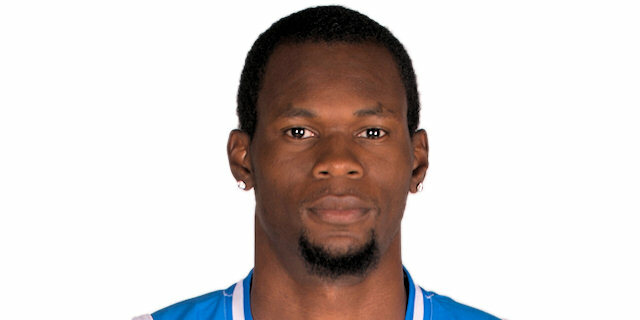 Sonny Weems put CSKA back on top when he split free throws. De Colo came in and promptly buried a three before handing off an assist to Kirilenko for a slam and a 15-9 edge. 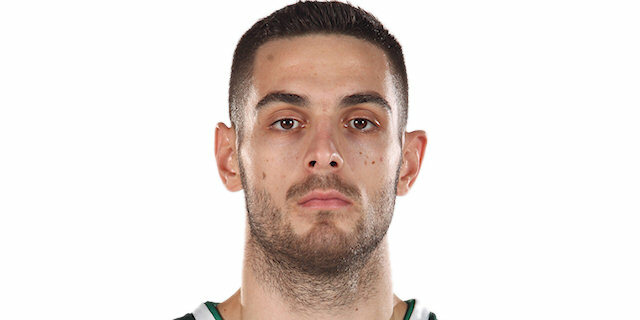 Papapetrou halved his team’s deficit with a three-pointer. Then another sub, Oliver Lafayette, added a three to tie the game. Printezis matched De Colo free throws with a layup. Jackson parted the Olympiacos defense for a layup and split free throws with 4.7 seconds remaining in the quarter for a 20-17 lead. De Colo drove for a layup before Jackson made it 24-17. Brent Petway’s first tough was a three-pointer that revived the Reds. He then drew a loose ball foul in the battle for a rebound. Papapetrou drove baseline to bring the three-time champs within 2. AfterKaun split free throws, Spanoulis got to the line for his first points at the 5:49 mark of the quarter. On Olympiacos’s next possession, Kirilenko rose to reject Spanoulis and trigger a fastbreak that Jackson finished with a layup. A fearless Papapetrou spun round Kirilenko for a tough bucket. Then Bryant Dunson cashed in on the offensive glass for a 27-28 Olympiacos advantage. 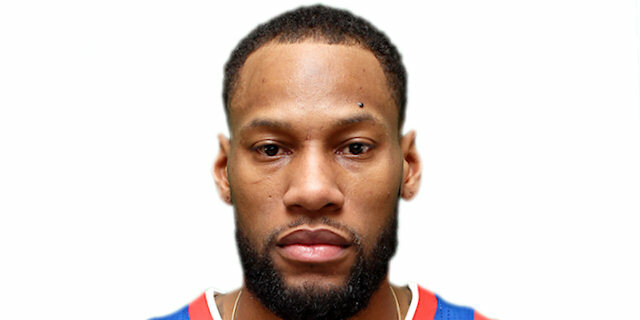 Weems followed with a jumper for CSKA. Printezis’s baseline floater and Weems’s driving layup saw the leads change hands twice more. Kaun made free throws and then took a rest as Victor Khryapa came in and blocked 2 shots in his first minute on the floor. However a Printezis triple evend things at 33-33. Matt Lojeski rebounded went coast to coast, but missed his layup. 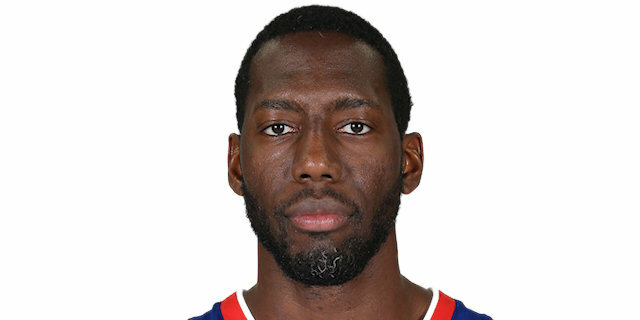 However Othello was there with the follow-dunk. Khryapa evened the score with free throws with a minute left in the half. Kirilenko pushed CSKA ahead 36-35 when he split free throws with 13.6 seconds on the clock; and that’s how it stood at the break. Jackson started the second half and darted inside for a bucket. Kaun scored inside for a 5-point CSKA cushion. Mantzaris hit a pair of free throws to revive the Reds. Then Dunston attacked the offensive glass, drew a foul from Kirilenko and drew his team within 40-39 three minutes into the second half. De Colo came off the bench, drilled a three and finished a fast break with a layup for a 6-point edge. Dunston took a seat with 4 fouls and CSKA cracked the Reds defense on the next play for a De Colo layup and their team’s biggest lead yet, 47-39. Kostas Sloukas attacked the rim at the other end and came away with a three-point play. 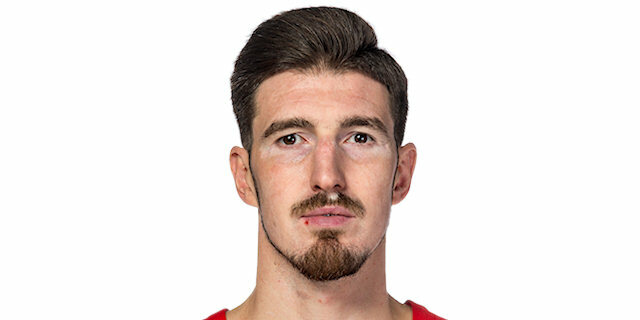 Weems finished nicely, but the Reds got right back in it with a Printezis three from the corner and Dimitrios Agravanis’s first points, a short bank shot. 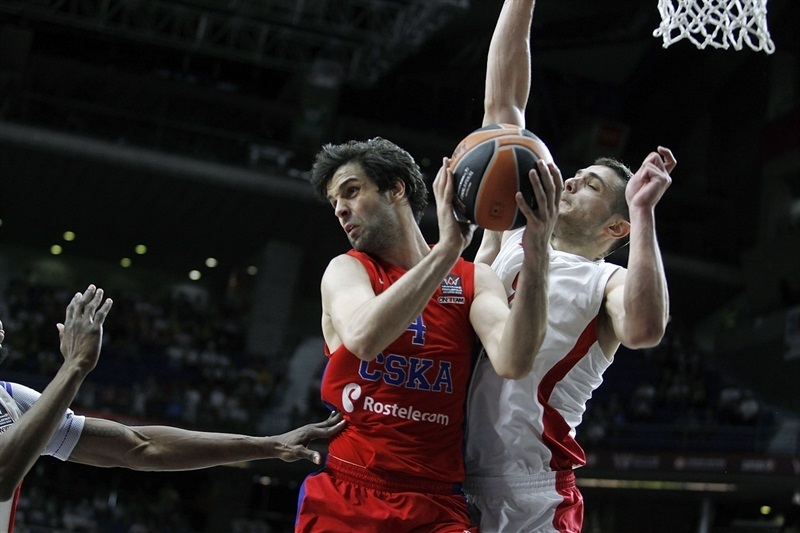 Teodosic’s first basket made it 51-47 in the closing seconds of the quarter. 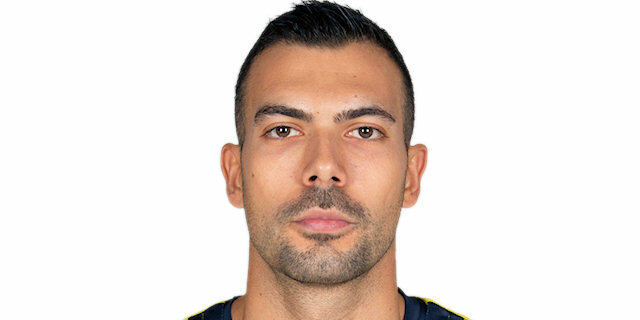 Spanoulis fouled Teodosic shooting a triple and the latter made all 3 resulting free throws. Mantzaris tossed a pretty pass to Lojeski for a reverse alley-oop layup, but a Teodosic triple reset CSKA’s advantage to 8. Petway made 2 of 3 free throws, but on the Reds’ next attack, Jackson picked off a Petway pass to set a new Final Four record with 7 steals. Kaun scored in the paint for a 59-51 difference with less than six minutes to play. 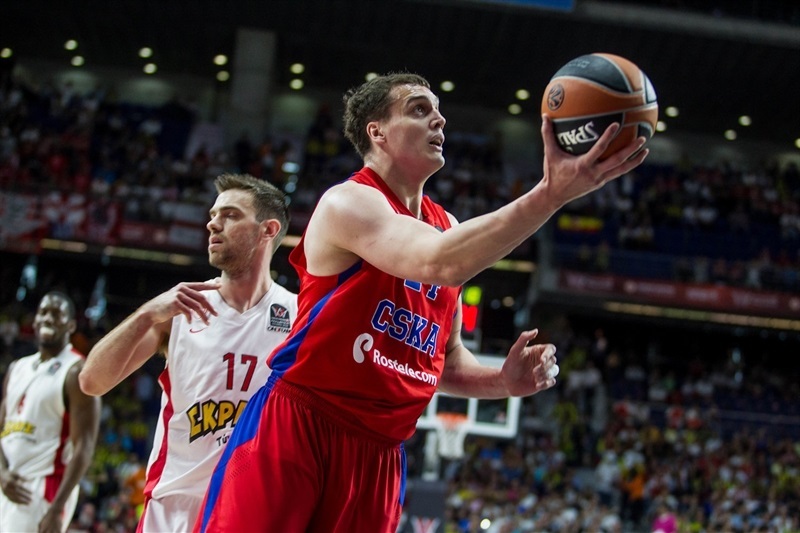 After Dunston split free throws, Kaun further boosted the CSKA lead. 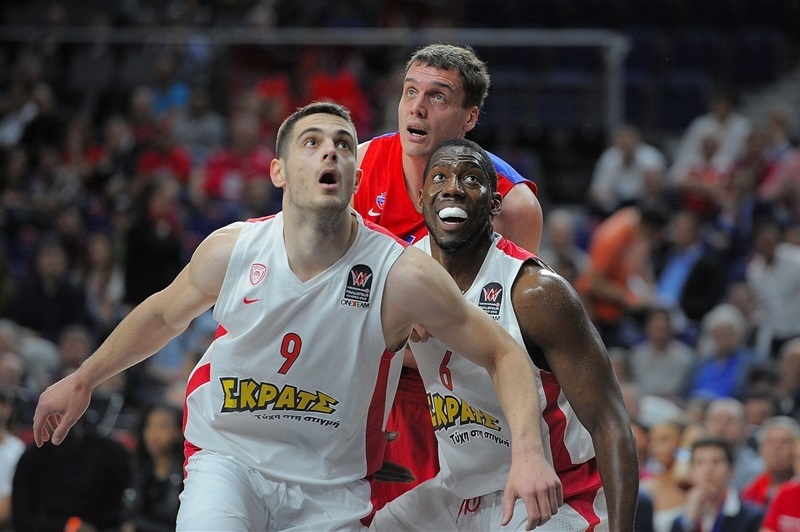 Khryapa drew an offensive foul from Petway, but Olympiacos wasn’t done. 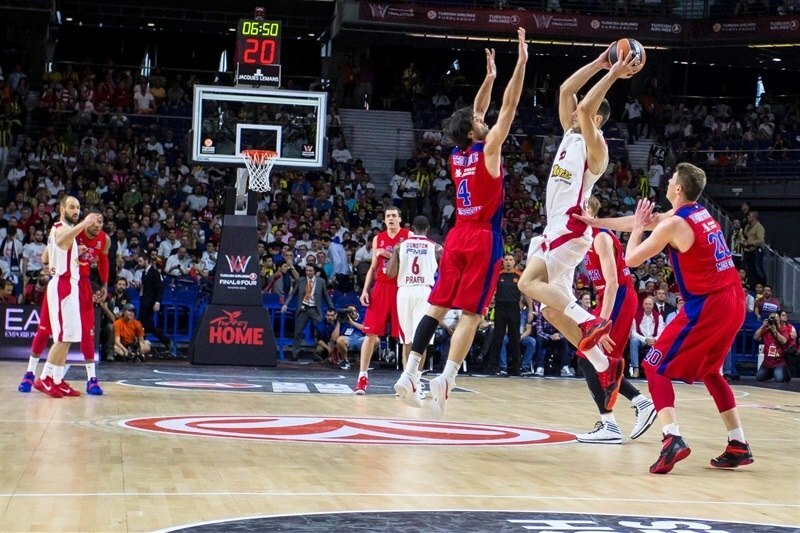 Soon Sloukas sank free throws and Spanoulis bettered a De Colo basket with his first made shot – a three-pointer with 3:30 remaining. After Sloukas added 2 more free throws, it was 63-59 with a little more than three minutes to go. 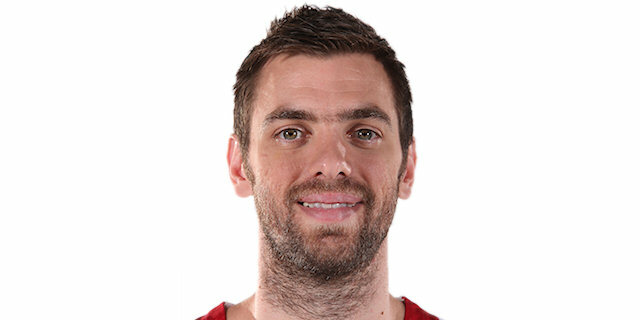 Printezis’s rebound and outlet pass to Sloukas for a layup again brought the Olympiacos faithful to their feet at 63-61. 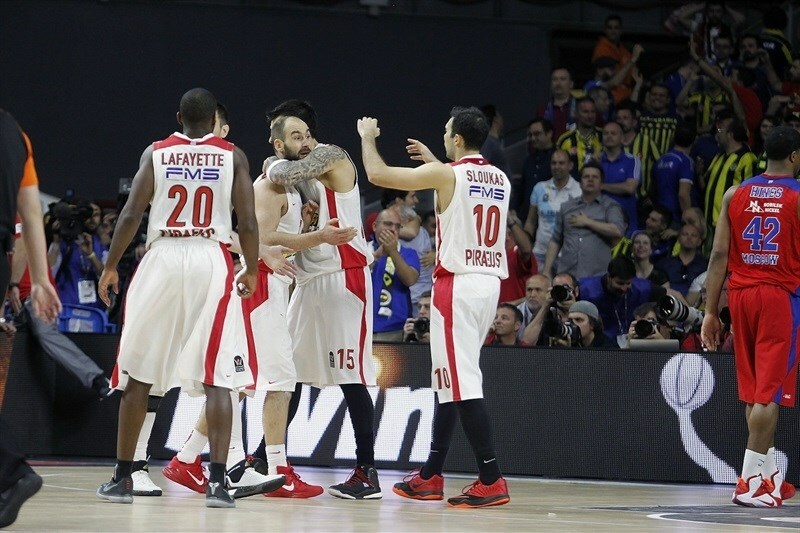 The Spanoulis sank another clutch shot; his big three put the Reds up 1 with two minutes remaining. After another successful Olympiacos defensive stand, Spanoulis pulled up for a jumper over Vorontsevich. Hines split foul shots, but Printezis missed from downtown at the other end. Vorontsevich chased down a long rebound, which led to an extra possession that Weems turned into a game-tying basket. 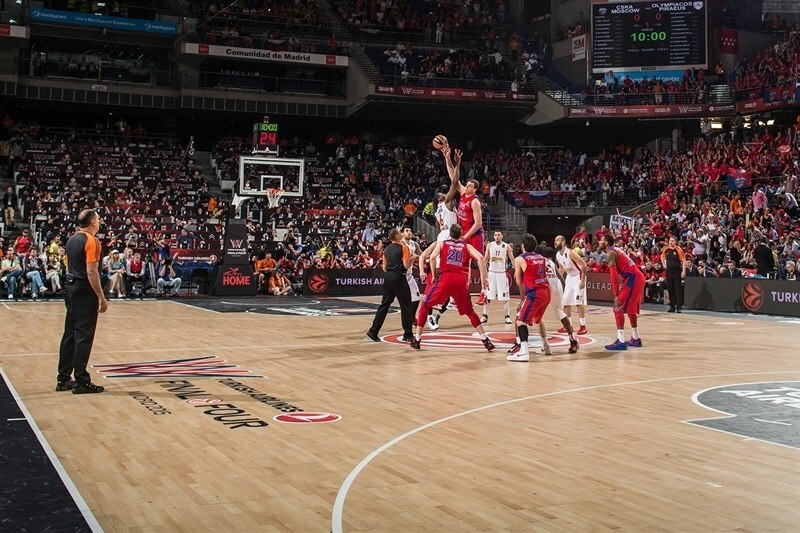 Olympiacos inbounded with 31.1 seconds showing; Spanoulis dribbled the clock down and launched a three over De Colo that hit the bottom of the net with 9.9 seconds left. Spanoulis then fouled De Colo and just prior to the shots turned to the Reds’ fans and encouraged them to make arena-shaking noise. Nonetheless, De Colo sank the shots to make it 68-69. A quick foul sent Sloukas to the line; he made the first but missed the second with 6.6 seconds to go. 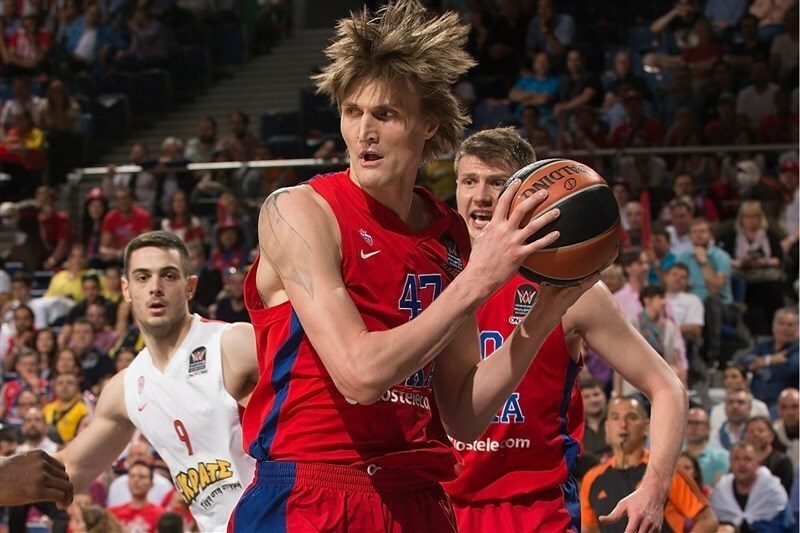 Kirilenko got the rebound, but CSKA was not organized enough to get off a shot before the buzzer and Olympiacos started celebrating again. “Obviously for us it was a bad result, a bad loss. We would say that we opened the game controlling the tempo at both ends. Olympiacos made the comeback and took the lead. We managed to get to plus 9. That period, even though they went small, we knew we had the advantage because we had good ball handlers. That’s why we kept the big lineup, to have the rebounding advantage. " 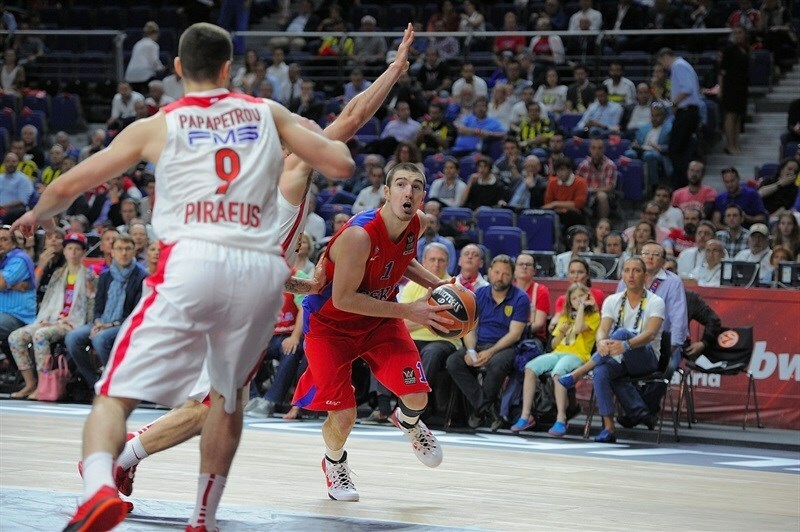 “The big shots by Spanoulis decided the game and some small details. 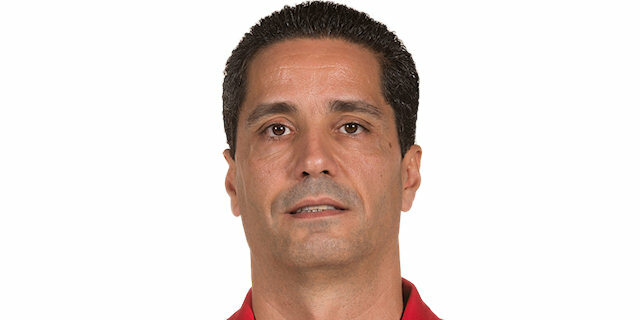 If you look at the rankings - 88-71 - I have to congratulate Olympiacos for the win. We need to be focused, we need to step up and continue to fight. I’m not going to lie, we expected more. We wanted to win the trophy. So we are upset. But we all win and lose together. We can only promise the fans that we will continue to work and try to give them happiness in the future." “The knife is getting in and is touching the bone, but those are the moments where we have to show our character. " “We had the ball in our hands, we have very intelligent players who know how to execute plays. It’s never in basketball about the last play. It’s the other 39 minutes, 55 seconds that we need to talk about. We got the momentum back from Olympiacos. We didn’t fight like we wanted to and they made big shots." 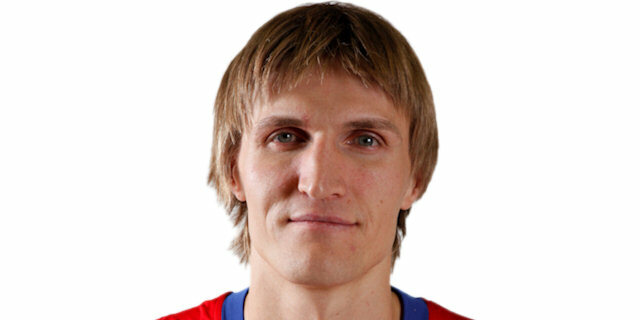 “This was a big win again, against a big opponent, CSKA Moscow, with a very good roster. We are very happy to win the game and qualify for the final. It’s very important that our team did not give up. For sure CSKA most of the game had the lead. But our players showed big character and great mentality. And this is something that you need when you play big games. This mental toughness gave us the game in the end." “Tactically it was very important that we kept CSKA to a low score. Then you don’t have a gap and you keep yourself in the game. I told the team we need to calm down and be ready for one more game on Sunday. " “I think it was key for this game that we played the last six or seven minutes with a small lineup. If you remember against Barcelona at the end we played with the small lineup and scored." 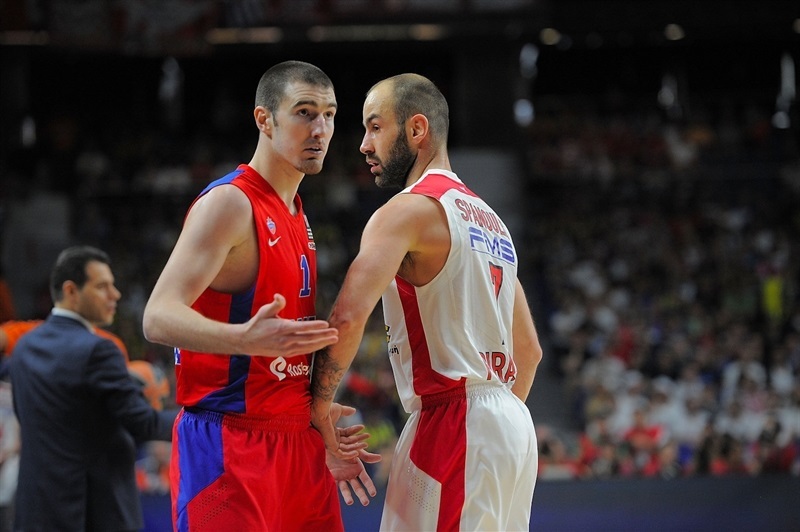 “Spanoulis is our leader. He is a player that you cannot find any more. This is the type of player you don’t find in I don’t know how many years. For sure when you are a leader, everybody is focused on you. 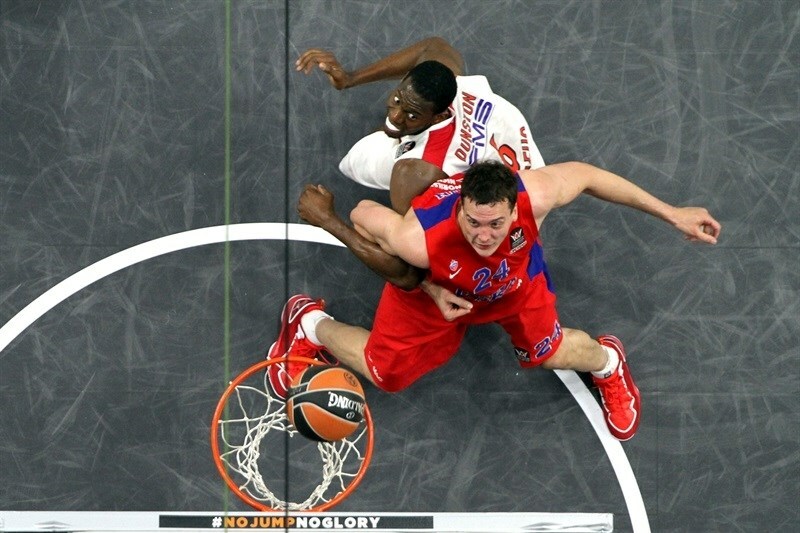 This is what CSKA was doing, trying to stop him. I told him to calm down and not to be anxious. He found the way how to come back into the game. He’s one of the greatest players in Europe." "I think we made a couple of mistakes at the end, wrong decisions that put the game in Olympiacos's hands - and they used it. I think we were leading by 8 points with three, four minutes left and let them score easy buckets two or three times. Defensively, we played pretty good, really concentrated under the baskets. It was tough for them to score, but we fouled a couple of times, they scored 4 free throws and then got a fast break layup. Those 6 points kind of put us in a tough position. Then Spanoulis hit a couple of threes after that. He is a great player, but you can't undermine other players' jobs. They kept the game until the point in which Spanoulis took it over. The rest of Olympiacos did a great job for 37 minutes, fighting to stay with us until the end. Like I said, those two, three minutes before the end were a crucial point for us. Those shots by Spanoulis were crucial and very needed, game-winning shots, but before that we shouldn't have come to this point." "I think we controlled the game in the first half and after that, they got easy shots and made some. Then Spanoulis felt confident and make some tough shots. We had the game in our hands, but made some little mistakes. They made shots, came back to the game and after that, it was just down to the last possession. We worked hard during the season, practiced hard and knew before the game that everything went down to this game. 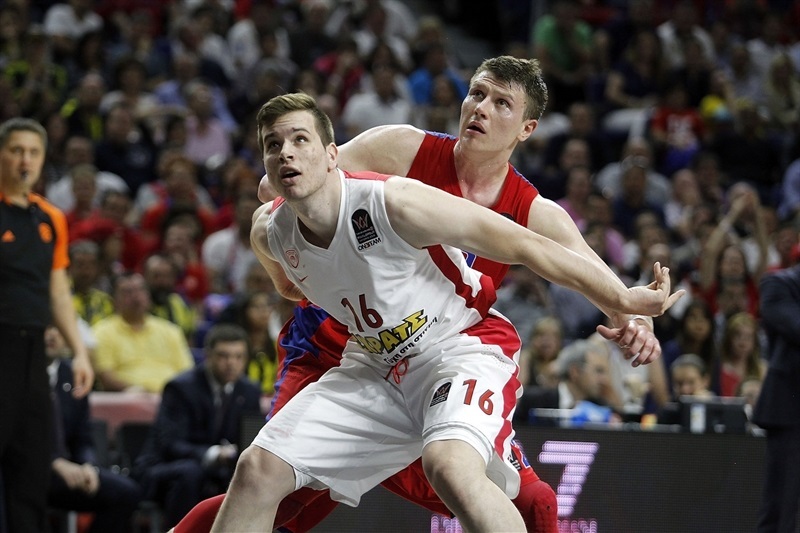 The Euroleague season is over and it is very hard to finish it like this." "We allowed them to get back in the game and that was the main thing. We allowed them to get back in the game in the fourth quarter, making a lot of turnovers. We let them get a lot of offensive rebounds, way too many. We were not focused in the fourth quarter and obviously, Spanoulis made some big shots; hats off to him. It has been like this for the past few years, I really don't know what to say." "I think the only thought coming in was helping my team win. We came here to the Final Four and we want to win, we did not come to participate. And that's how the entire team thinks. Everybody that came on the court gave his heart, put his everything, more than 100%. It was a great win for us, but we got one more game. You always prepare yourself to help your team win. When coach calls my number, I try to be aggressive and help my team as much as I can defensively, offensively, rebounding, anything I can do." "We never give up. We keep fighting, we keep playing until the 40th minutes. Until the final buzzer we play. We believe in ourselves, and that's why we win. The key tonight was our amazing defense in the final quarter. Offensively we did not have that much set plays, but that turned out good for us." "I think it is our comradery that allowed us to bounce back and come back. Everybody on the team gets along very well, we hang out on and off the court, and everybody trusts each other. And Spanoulis, he does it all the time. How can you not trust him? He makes big shots; that's what he is known for." "I think our rebounding in general was the key. Last time we played against them, they beat us on the boards pretty bad, so guys were focused coming in. Coach said, if we can dominate the rebounds, we can get the win. The final moments were crazy. I was watching it from the sidelines, I just trusted the guys out there on the court. I knew we have experience in close games, and luckily it worked out for us." "Maybe I was born for this, my mother brought me here for these times. I am lucky that I have great teammates and great coaches. They still believed on me even when I was 0 for 11; they gave me the ball and trusted me. This is very big for me, bigger than most wins. All my teammates and coaches trust me, which means a lot for me. I made some big shots and helped my team win. I care only for winning every game, everyone in this locker room came here to win. Like I said in the press conference, we didn't come for tourism or anything like that, we came to play basketball. We are ready for any opponent in the final. Hitting a shot like that [to take the lead for good] is a super feeling. I cannot describe it with words. It is one win and we need one more!" 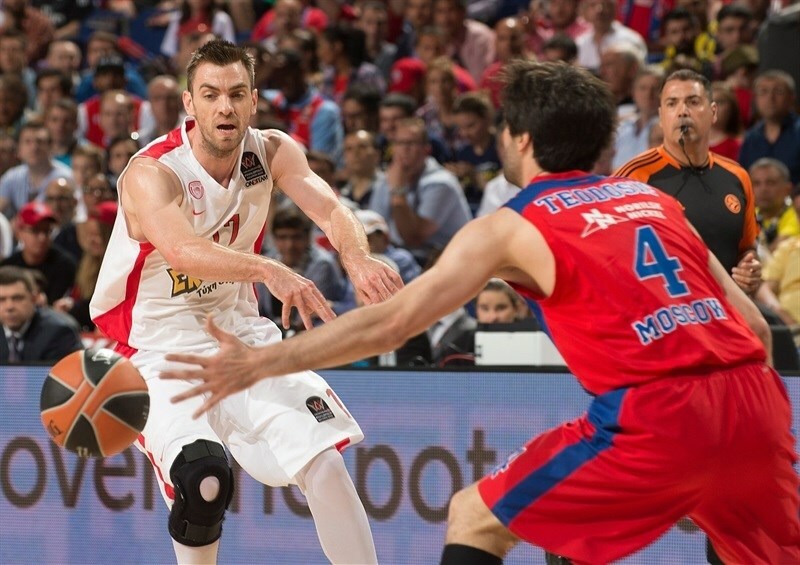 "It was a different game against CSKA than in previous Final Fours. We didn't control the game at all in the beginning, but kept following our game plan and played smart, with good defense. 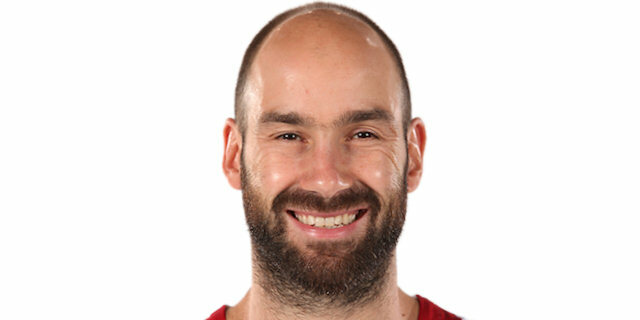 Spanoulis is one big personality, one of the biggest players in basketball. I am very happy and proud to be his teammate. He didn't really start the game well at all, with 0 for 11 [shooting], but then he scored four clutch shots in a row to take us to the final. Unbelievable! It is a final; we fought all season in practices and games to go to the final and play this game. We have to be focused on our game plan and I hope we are lucky to take the trophy."